Have You Tried Any of These 8 Great Milk Alternatives? Despite that the United States Department of Agriculture recommends 3 glasses of milk per day, “more and more evidence is surfacing . . . that milk consumption may not only be helpful, it might also be detrimental.” In fact, in a study published in the peer-reviewed British Medical Journal, “researchers at the Uppsala University in Sweden found that drinking milk led to an increased mortality rate and actually made bones more prone to fracturing, not less.” Information about the down-side of milk consumption is everywhere. Check out www.notmilk.com. This article, though, will give information about milk alternatives for those who choose to take cow milk out of their diet as I did. After years of suffering from a very frustrating and often times embarrassing chronic skin condition known as Seborrheic eczema…I’ve given up cow’s milk for good! Seborrheic eczema is a common condition affecting the scalp causing dandruff, itching and soreness. After a recent detoxification program, which eliminated dairy from my diet for 21 days, I was eczema free! (Click to Tweet). At first, I could not attribute it to anything specific about the detox. However, I decided to find out if there was any merit to eliminating dairy in my diet. Living with this condition my entire life, I had little hope, anticipating suffering from those annoying itchy patches once again. After adding milk back into my diet the eczema resurfaced. After a few months of giveth and taketh away and becoming more in tune with my body I realized that as long as I eliminated cow’s milk from my diet I was keeping my eczema at bay. I have been eczema free for a little over a year now for the first time in my life! For me, milk did not do the body good. Coconut milk: has 50% more calcium than dairy milk. Whether straight up or in your morning coffee or muffins, coconut milk can add a flavorful nutty twist. 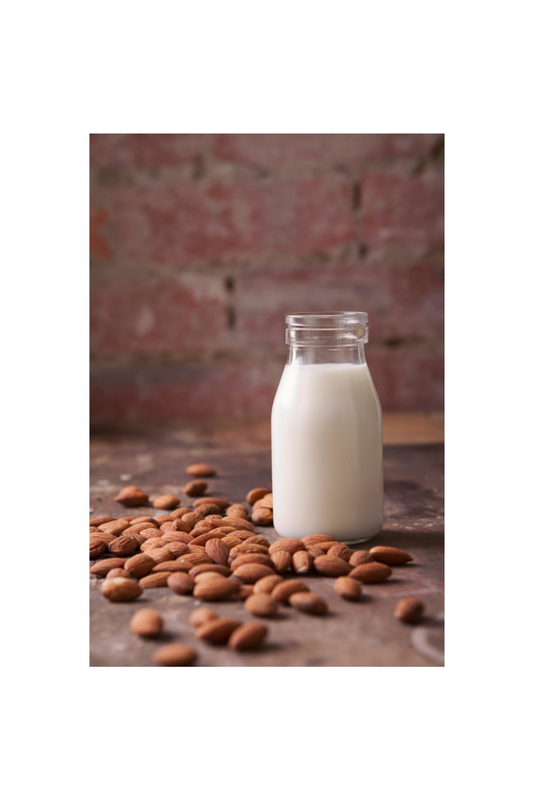 Almond milk: is an excellent source of protein and vitamin E. It is also packed full of iron, fiber and calcium. Almond milk comes in several different flavors and is a great alternative with your morning cereal. I recommend the unsweetened versions. Rice milk: is a good source of vitamin E and of all the milk products, rice milk is the most hypoallergenic. Try this one in your chai tea. Note: some people could have a sensitivity to rice. Hemp milk: has 140 calories, 5 grams of fat and 3 grams of protein per cup. However, it only has ½ the recommended allowance of calcium. Hemp milk is vegan, creamy, easy to digest and tastes great! Oat milk: is perfect if you don’t like a “nutty” tasting milk alternative. However, it is not gluten-free. It is low in fat and high in fiber, folic acid, Vitamin E and phytochemicals. Almond/Coconut Blend: The best of both worlds. “At only 45 calories per serving, Almond coconut milk is a nutrient-dense ‘fuel efficient’ beverage packed full of good-for-you nutrition.” And, it tastes great. Water: Nature’s perfect beverage! Water is essential to our bodies. It helps maintain balanced body fluids, hydrates, energizes muscles and also helps keep the skin looking youthful. Infuse your water with a slice of fruit or a slice of cucumber to make it more interesting. Squeeze 1/2 of a lemon in your water to help your body gently detoxify. Whether you have a milk allergy, are lactose intolerant or are just looking for a healthy alternative to cow’s milk, I urge you to try these delicious alternatives. They may just add an exciting twist to your daily routine and attribute to a healthier lifestyle. Which milk alternatives have you tried and what did you think? Pros and Cons of Rice Milk.” / Nutrition / Healthy Eating. Web. 24 Apr. 2015. “Why Drink More Water? See 6 Health Benefits of Water.” WebMD. WebMD. Web. 24 Apr. 25, 2012, www.webmd.com/diet/6-reasons-to-drink-water. Previous PostCan You Really Reduce, Reuse and Recycle Your Way to a Bigger Bank Account?Next PostStop Breathing and Start Singing!